Poughty gets a double minor for throwing his stick after committing a penalty. The expression on his face is priceless: "Hey! Down here! I fell! Do I get a call in my favor?! Um...a cookie? A...a nice "how are you, all right?" Oh come on, ref." 5-0'd by Trashville. Take the L.
I can't like this post out of common decency. But I can LOL Kings! Ugh. An ESPN article asking if Crosby-Ovechkin is the biggest rivalry. Do Pacific Conference games not exist? Has anyone see a Ducks-Kings game recently? Sure they are friends and neighbors in the off season but they actively try to kill each other on the ice. Kempe damn near killed himself by getting a "head shot" on someone five inches smaller than him. I'm not sure Crosby-Ovi is even that much of a rivalry except in the minds of the media. The Penguins have a bigger rivalry with Philly for starters. I saw a headline today that read Tearful Dustin Brown Retires After Back Injury and let out a very audible "oh sh--" in public before I realized they were talking about the tennis player with the same name. And here I thought all those years of ramming himself into the boards with nobody around him in an effort to draw a call finally caught up to him. So many media rivalries are off base... as are some one-sided fan rivalries. I'm a bit late on this, but ESPN reported in their season previews last year that the LA Kings will be looking for a trade partner to move Dustin Penner. I trust their take on hockey about as much as I trust Ritchie to stick to his diet. Wait until about 10 seconds in and look closely at Hall's noggin. What's the over-under on DoPS getting this one right? Exciting game in L A.
Kings out-shooting the Oil 4-2 with not much time left in the 1st period. 7SOG mid game LA ? This second period has been good, 2-2. 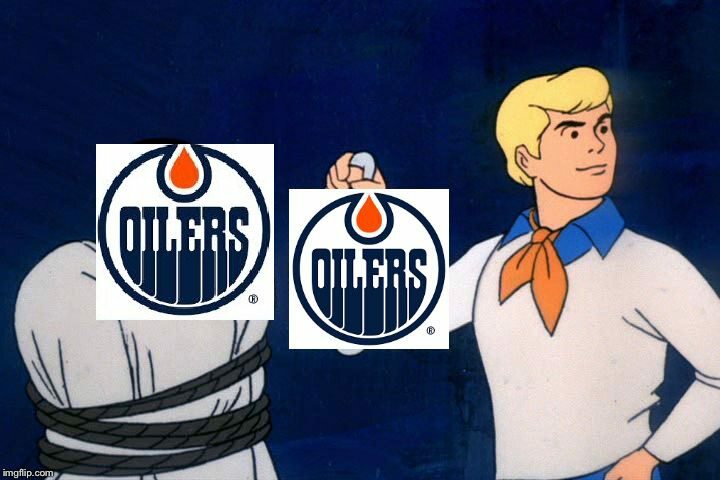 Oilers are really good for nothing. Quick is a retard. Brain of a 2yo. Kucherov makes them pay... 4 more ala Islanders! Obvious he led with the knee. Lol Quick with another fight tonight. Somebody needs to take that clown out.